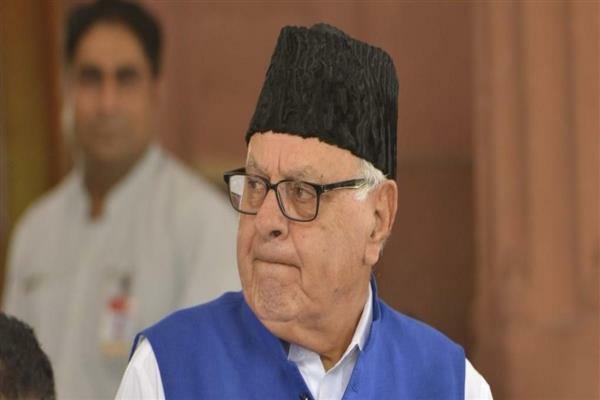 Srinagar, Sep 02 (KNS): National Conference President Dr Farooq Abdullah has expressed his concern about the stand taken by the counsel for the state of J&K, before the SC in the litigation relating to article 35A. Abdullah has issued the statement in his sharp reaction to the recent media reports and which quoted the additional Solicitor General of India, who was representing the state of J&K before the SC, as having accepted during the hearing before the SC that some aspects of article 35A deserve to be scrutinized by the SC on the grounds of gender discrimination and constitutionality. Abdullah said that if they were these media reports are true, this is a grave development and a matter of serious concern. Such a statement, if made before the SC of India on behalf of Govt. of Jammu & Kashmir indicates instead of defending article 35 A and asking for the challenge to be dismissed based upon earlier constitution bench judgment, the state Govt has virtually conceded before the SC that some parts of article 35 A deserve to struck down.